• Philip Wallach unpacks various facets of U.S. climate policy including international agreements, state actions, and national actions. • How can funders work to effectively shape climate policy and action in the United States? • Learn about climate change and global migration. To think about federal climate policy these days is to think about the future. Will we see Democrats embrace a radical program like the Green New Deal? Or will elites of both parties come to see a carbon tax as an attractive means of raising revenue, as a diverse group of former heads of the Council of Economic Advisors and Nobel Prize winners recently urged? Paris Climate Agreement: The effects of the U.S. hokey-pokey on the Paris Agreement (put your left foot in, take your right foot out) aren’t entirely clear. Many U.S. states and cities responded to Trump’s withdrawal announcement by putting in place their own commitments. The non-binding nature of countries’ commitments under the agreement means that, throughout the world, other actions must ultimately drive emissions below what unguided market behavior would dictate. But, in the longer term, most experts agree that the orientation of the U.S. toward the Paris Agreement will be an important factor in determining whether the compact leads to a virtuous cycle of ambitious emissions reduction strategies around the globe. Mobile Sources: The Trump administration’s actions on CAFE standards are likely to remain consequential even if they are eventually overturned by courts or by a Democratic administration in 2021. Because auto manufacturers need considerable lead time to be able to make decisions about the compositions of their fleets, it seems hard to imagine that they could end up being held to the standards dictated by the outgoing Obama administration after a years-long interregnum of legal uncertainty. Suppose that the Trump standards survive legal scrutiny but a Democrat becomes president in 2021. Pivoting once again toward more stringent carbon emission standards for cars is likely to take at least a year, likely more. Stationary Sources: Some critics of the president’s policies seem to think that the Clean Power Plan might simply be unfrozen in the future and set back upon its way. For example, the Natural Resources Defense Council has opposed what it calls the Trump administration’s “Dirty Power Plan” and features a web page appealing to potential donors to “Save the Clean Power Plan.” Senator Dianne Feinstein, meanwhile, recently put forward an alternative to the much-touted Green New Deal, which included a call to restore the Clean Power Plan and its 2030 goals. Litigation: While the legal challenges to the Clean Power Plan were frozen much like the rule itself, other legal developments have been progressing, with the potential to reshape the whole regulatory landscape for climate change issues. It is fairly unlikely that these developments will ultimately dictate the shape of climate policy to come—but it seems more likely today than it did just a few years ago. Several types of lawsuits are worth tracking—with the Sabin Center for Climate Change Law providing excellent resources for doing so. State Actions: As the regulatory landscape for climate is shaped by developments at the EPA and in federal courts, it is also important to remember that state and local legislatures have been active even if Congress has not. 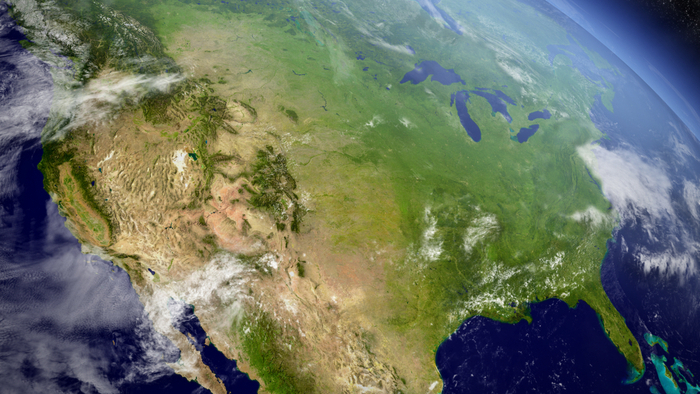 As Barry Rabe describes, climate action in the states is clearly polarized, with some blue states deeply committed to cutting emissions within their borders. Their efforts include California’s cap-and-trade system as well as the Regional Greenhouse Gas Initiative (RGGI) in the northeast, which now has 9 member states. But, looking more broadly, states that have not traditionally made cutting carbon emissions a priority don’t seem to be rushing to do so lately. So the parts of the country with the highest emissions rates are often those doing the least—which may be politically unsurprising, but is nevertheless quite unfortunate from an economic efficiency standpoint. Read the full article about U.S. climate policy by Philip Wallach at Brookings. Learning and benchmarking are key steps towards becoming an impact giver. If you are interested in giving with impact on Advocacy and Policy take a look at these selections from Giving Compass. Giving Compass' Take: • Arabella Advisors discusses how philanthropists will need to work closely with advocates to achieve scale; the benefits of doing so are already apparent. • In this politically divisive environment, many nonprofits may shy away from advocacy, but this post makes a good argument for thoughtful engagement on the community level to advance social causes. • Here are some key questions to answer when funding advocacy. When pursued strategically, philanthropy and advocacy are like two sides of the same coin. Their practitioners both take action in service of needed social change, seeking to realize visions of a better world, and it’s rare that either set can achieve the goals it seeks without the other, at least at scale. Advocates are typically well aware how much they need donors to accomplish their goals. For their part, donors increasingly understand that the inverse is true as well: they need advocates — or at least the tools of advocacy — to achieve the ends they seek. As governments become ever more paralyzed by ideological polarization and fiscal restrictions, civil society institutions are playing an increasingly large role in asserting public-interest values and driving policy reform. In an environment where even childhood hunger gets caught up in partisan clashes, funders and their grantees are seeing the need to renew their theories of change and ways of doing business. More and more, donors are engaging in collaborative efforts that aggregate their expertise and divvy up the work to fit their various interests and capacities. Such advocacy funding collaboratives can create dynamic partnerships between individual donors and foundations. Individual donors typically bring flexibility: they can move money quickly and are less restricted in what they can fund, so they can seize sudden opportunities in ways that are sometimes more difficult for large institutional donors. Read the full article about strategic philanthropy and advocacy by Scott Nielsen at arabellaadvisors.com. In addition to learning and connecting with others, taking action is a key step towards becoming an impact giver. If you are interested in giving with impact for Advocacy and Policy take a look at these Giving Funds, Charitable Organizations or Projects.